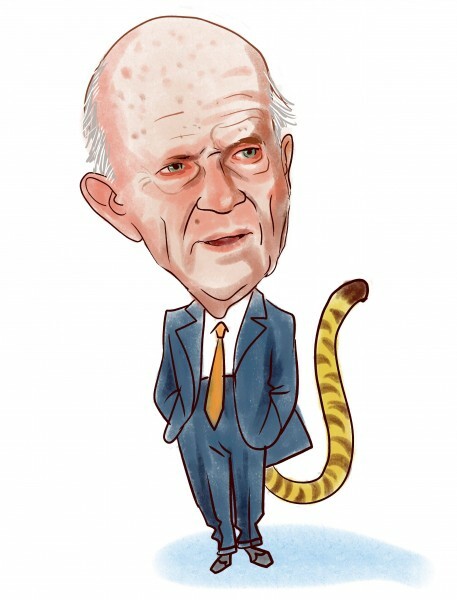 Julian Robertson’s Tiger Management is one of the oldest hedge funds. Founded in 1980, the fund became one of the largest hedge funds in the world in 1998, with $22 billion AUM. Robertson had the best hedge fund record during the 1980s and 1990s. In 2000, he stopped managing money for his clients. Since then, Robertson seeded and mentored many other hedge funds, known as Tiger cubs. John Griffin, second in command at Tiger Management, is one of the Tiger cubs. Similar to other Tiger Cubs, Griffin is also a long/short equity investor with a long bias. John Griffin established his own hedge fund, Blue Ridge Capital, in 1996. Robertson and Griffin lately released their most recent holdings in 13F filings. Let’s take a closer look at the stocks that both of them are bullish about and decide whether investors should also purchase these stocks. Valeant Pharmaceuticals (VRX): At the end of last year, Robertson had nearly $20 million invested in VRX and Griffin invested over $250 million in this stock. In addition to Robertson and Griffin, forty-three other hedge fund managers were also bullish about VRX. Another Tiger cub Andreas Halvorsen’s Viking Global also reported to own over $300 million worth of VRX shares. In November 2011, VRX announced that it had signed an agreement to acquire Australian drug-maker iNova. VRX also plans to acquire Dermik and Ortho Dematologicals. We think these acquisition programs will bring operating synergies as well as stronger sales and revenues. For the third quarter of 2011, the company has already more than doubled its revenue from the same quarter of 2010. The stock has a low beta of 0.86 and also looks a bit undervalued compared to its peers. VRX has a forward P/E ratio of 12.52, versus 16.04 for the average of its peers. One of its peers, Perrigo Co (PRGO), has a forward P/E ratio of 18.15. Therefore, overall we agree with Robertson and Griffin. This is a high growth stock trading at low multiples. Apple Inc (AAPL): is another high growth stock with low price multiples. Robertson had $28 million invested in AAPL and Griffin owned $152 million worth of AAPL shares. AAPL is the most popular stock among the hedge funds tracked by us (see the 10 most popular stocks). About one-third of the hedge funds reported to own AAPL in their 13F portfolios. Tiger cubs Stephen Mandel and Chase Coleman were also among the hedge fund managers with AAPL positions last year. We like AAPL a lot. It looks very attractive when it comes to valuation. Although it returned more than 50% over the past 52 weeks, beating the S&P 500 index by about 45 percentage points, it still seems to be trading at a discount. AAPL has a P/E ratio of 14.97, versus 16.06 for the average of its peers. Its forward P/E ratio of 11.08 is also lower than the 12.18 for its peers. Those hedge funds that invested in AAPL have benefited a lot from this position recently. Since the beginning of this year, AAPL was up nearly 30%. AAPL also recently reported strong fourth-quarter results. It reported net income of $13.1 billion, more than doubling its net income of $6.0 billion for the same quarter in 2010. We believe investors will continue to achieve high returns by investing in AAPL. AAPL is not alone among tech giants with low valuations. Another tech stock Google Inc (GOOG) also has appealing multiples. It has a forward P/E ratio of 12.18, a significant discount to 22.93 for its peers. Robertson and Griffin are both bullish about GOOG as well. Their funds had $323 million and $23 million respectively invested in this stock at the end of last year. Another large-cap stock they both like is Citigroup Inc (C). Citigroup is also trading at a discount. Its current P/E ratio is 9 and its forward P/E ratio is only 7.01. They are also bullish about gold, betting via gold miners ETF (GDX). Stocks are still very cheap despite the huge rally we saw over the last 5 months. Robertson and Griffin think that Fed’s policies will result in inflation and higher gold prices. They think technology stocks are especially cheap and there are good opportunities in mega-cap banks and healthcare stocks. We like technology and financial stocks as well but we prefer energy stocks as a hedge against inflation.